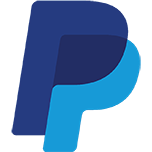 Paypal is a popular online payment solution for individuals and professionals. Very often, Paypal is used to accept credit and debit card payments and is preferred by its users for its simplicity (a simple password is all you need to pay). Paypal can quickly become a real conversion accelerator for customers and is often used alongside other credit card payment tools. It is also possible for a customer to pay by card without even creating a Paypal account. Sellsy's Paypal integration allows you to easily add a payment button on your quotes and invoices for the customer to pay online via Paypal's payment platform.